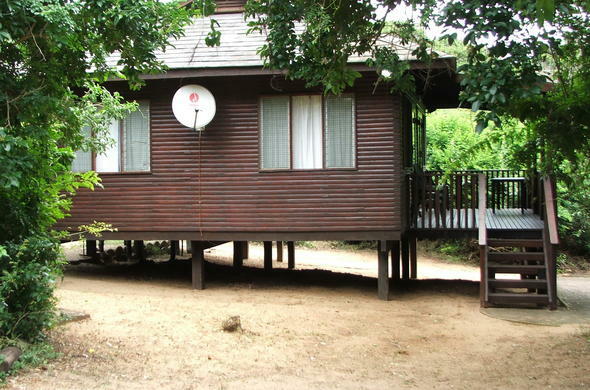 For Sodwana Bay accommodation in KwaZulu-Natal, guests can stay in well appointed log cabins. Private lodges are also situated in this South African nature reserve. 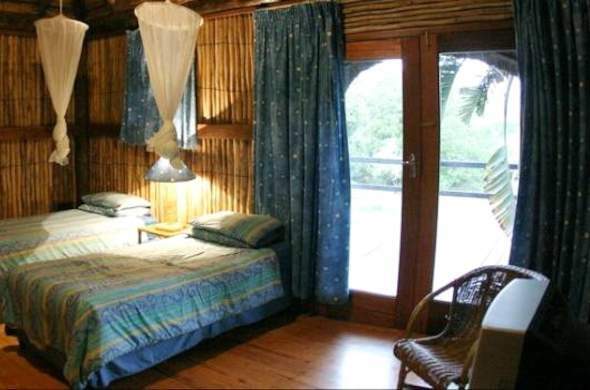 There are 2 and 3 bedroom Swiss style log cabins accommodation in Sodwana Bay Camp. Private lodges within the park provide catered accommodation and activities. 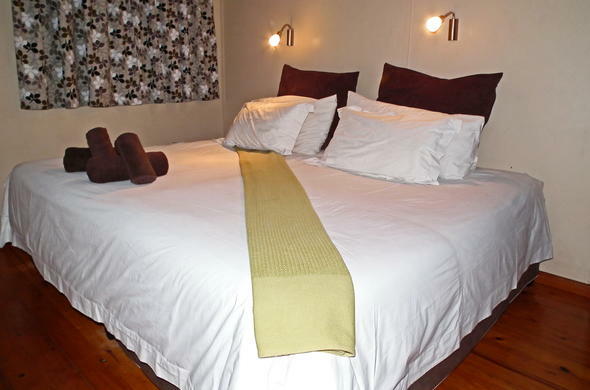 Well equipped, self-catering Sodwana Bay accommodation in KwaZulu-Natal is available in the camp. An on-site shop stocks curios, groceries and fishing tackle. Scuba diving equipment can also be hired. There are 10 five-bed Swiss-style log cabins, each with two bedrooms, a bathroom with shower, lounge / dining room and kitchen together with barbecue facilities. Another 10 eight-bed log cabins at Sodwana Bay Camp each offer three bedrooms, a bathroom with shower, lounge / dining room and kitchen and barbecue facilities. This lodge in Sodwana Bay National Park offers reed or thatched chalets, a swimming pool, a PADI 5-star IDC centre and a fully-equipped dive shop. This lodge is perfect for diving in South Africa. Sodbana Bay in KwaZulu-Natal, near Mozambique, boasts South Africa's southernmost coral reefs. Sodwana Bay accommodation is offered in private lodges and the Sodwana Bay Camp. Sodwana Bay Lodge, for example, has beautiful chalets, a swimming pool and PADI 5-star IDC centre.